The Spaceport in French Guiana is a strictly controlled facility – as is any operational launch base around the world. 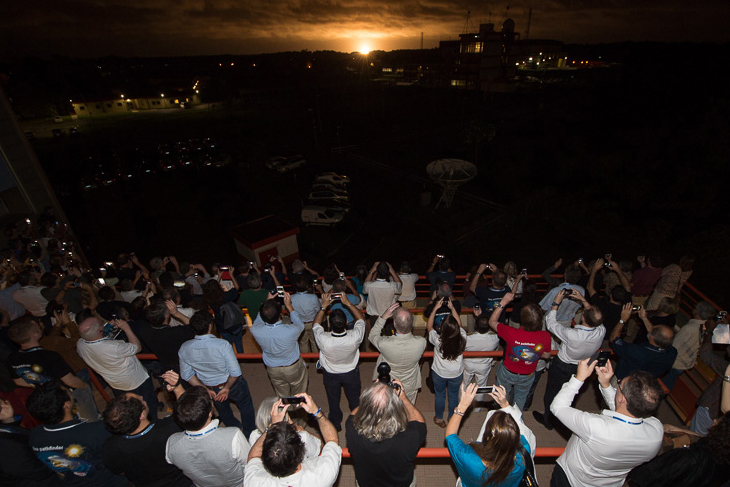 Access is determined by individuals’ requirements, depending whether they are launch team members, technical support personnel from Arianespace’s customers, guests and VIPs attending a launch or the general public. Launch team members and customer support personnel have access to the zones to which they are assigned during a launch campaign. They have photo ID badges that are verified at the numerous checkpoints situated throughout the Spaceport. 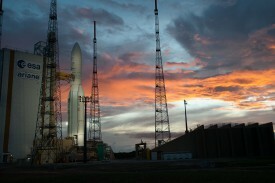 Guests and VIPs who are invited to watch a launch typically arrive in French Guiana one or two days before liftoff. They are given guided visits of the Spaceport, and attend pre-launch briefings that provide in-depth information on the mission. For the liftoff, guests are taken to a viewing site located at a safe distance from the launch zone, or they follow the countdown and launch from the Jupiter control center situated at the entrance of the Spaceport. For the general public, tours of the Spaceport with qualified guides are offered, but advance booking is required. A space museum with gifts shop is located on the public side of the Spaceport’s nearby the Ariane 5 mockup. While access to the Spaceport is limited due to operational and safety considerations, it is possible for the public to experience the excitement of an Ariane liftoff and see firsthand how the Guiana Space Center operates. Advance coordination is necessary for visits to the Spaceport grounds. There are no tours during the very last days before launch and on launch days. Children under the age of eight are not allowed on the Spaceport’s grounds. These tours are available free of charge, but reservations are required. Contact the CNES Public Relations Department in writing for invitations to view an Ariane, Soyuz or Vega liftoff from one of the different visitors’ sites on the Spaceport grounds. Provide complete address and title/status of guests wishing to attend the launch, and specify the age of children. Minimum age is from 8 to 16 years depending on the location of the viewing sites. Arianespace posts the dates of upcoming missions on its website as soon as the dates are confirmed. 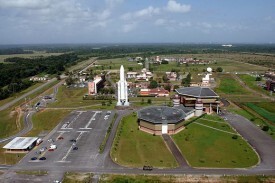 Located on the public side of the Guiana Space Center, the Space Museum is the Spaceport’s most accessible site. 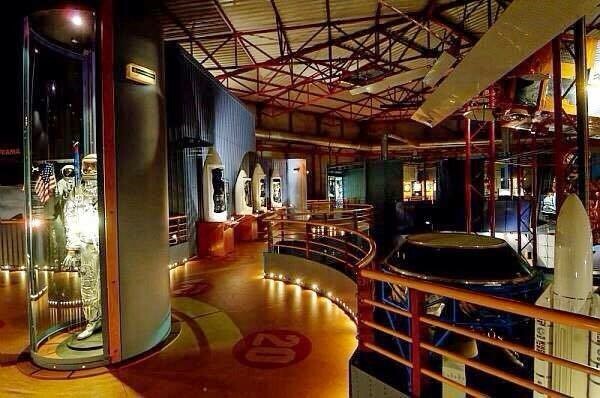 Exhibits trace the history of the launch base, as well as providing an overview of the Ariane program and European space activities. The museum is open for public visits from 8:00 a.m. to 6:00 p.m. from Monday to Friday without reservation or advance approval. On Saturdays, hours are from 2:00 p.m. to 6:00 p.m. Admission is 7 euros for adults and 4 euros for children. 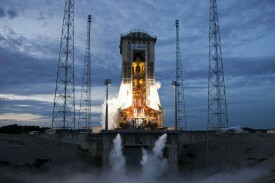 An Arianespace launch is an exciting event for journalists to cover. The mission is the result of months – or in some cases, years – of work in both the technical and commercial sectors. 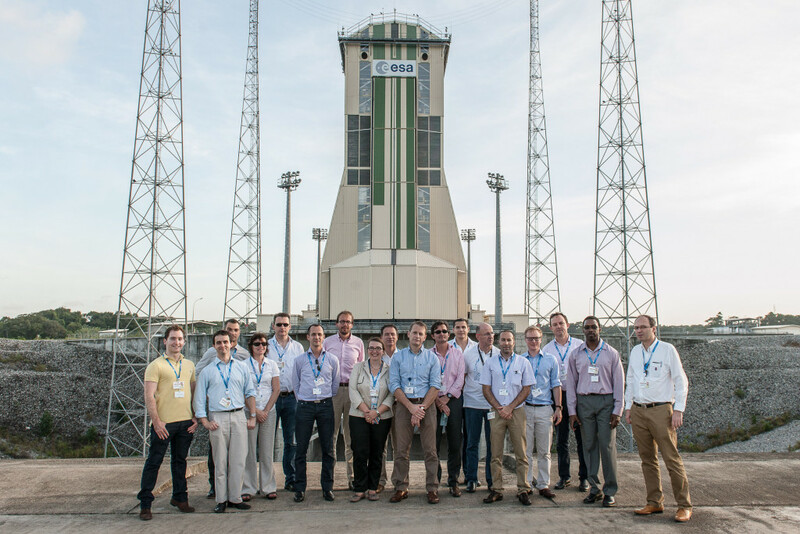 For attending reporters, Arianespace’s goal is to provide optimum working conditions and the best possible access to launch personnel and the customers – while ensuring all operational mission rules are respected. Reporters and media planning to attend a launch or to visit the Spaceport in French Guiana should visit the Arianespace website’s dedicated “Press” section. 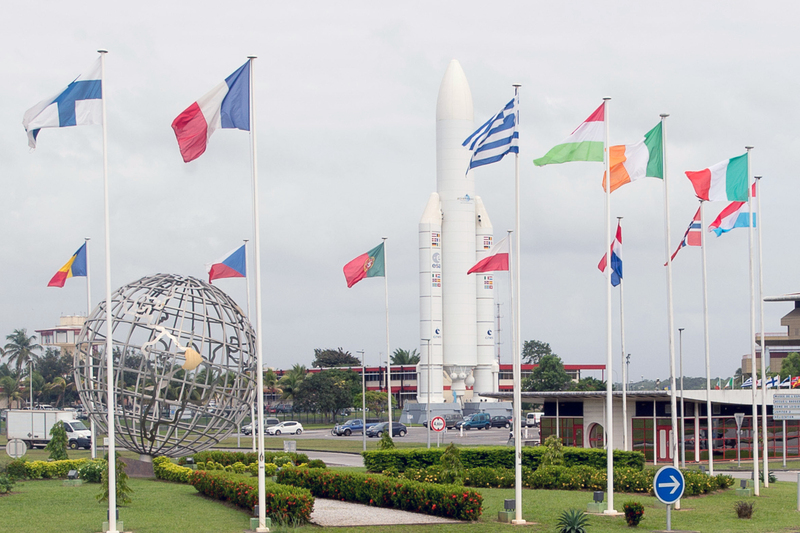 Kourou, the city nearest the Spaceport, has witnessed a dramatic growth that accompanied the Ariane program’s success. It is home to many space center employees who are permanent or long-term residents, and has housing complexes set up for the visiting support teams from companies that produce elements and components of Ariane launch vehicles. 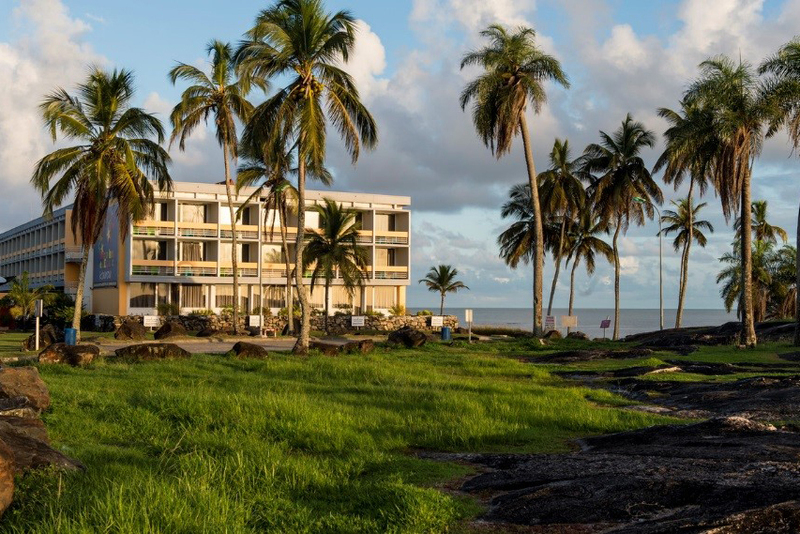 Room capacity in world-class hotels has been increased at Kourou and other locations in French Guiana to meet the needs of Arianespace customers and invited guests to launches. Many restaurants are in operation, catering to the diverse tastes of both residents and guests. Arianespace took the initiative to create Freelance Service, a commercial company that sees to the needs of customer personnel during their extended stays in French Guiana while preparing their payloads for launch. Freelance Service arranges tours and outings, provides movies and video programs for viewing, and helps out with the big and small details that make life away from home easier and more enjoyable. 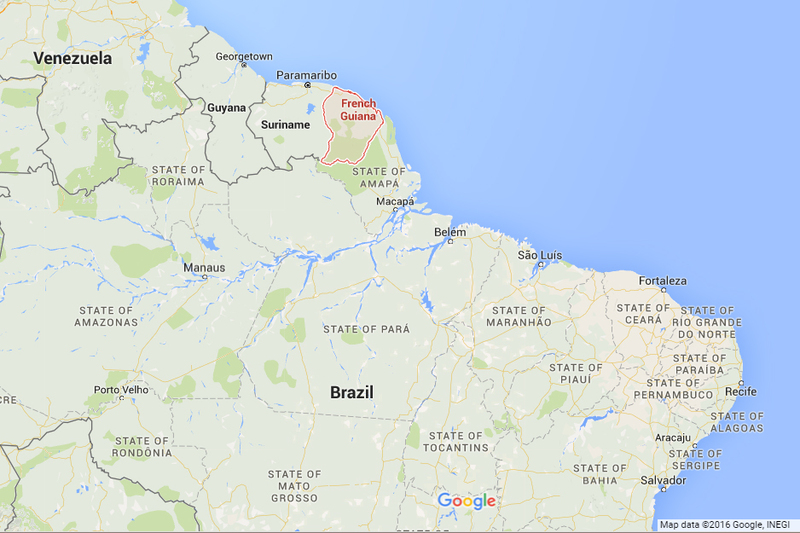 The average temperature in French Guiana is 28 deg. C. (83 deg. F.), with approximately 90 percent relative humidity. All of the Spaceport’s buildings are air-conditioned. For visitors, light sportswear-type clothes are recommended. As a French overseas department, French Guiana uses the Euro for its currency. Travelers’ checks and credit cards are accepted in many locations. A current yellow fever vaccination is mandatory for entry into the country. Protection against malaria, dengue and Zika, is recommended, as is protection against tetanus and poliolitis. 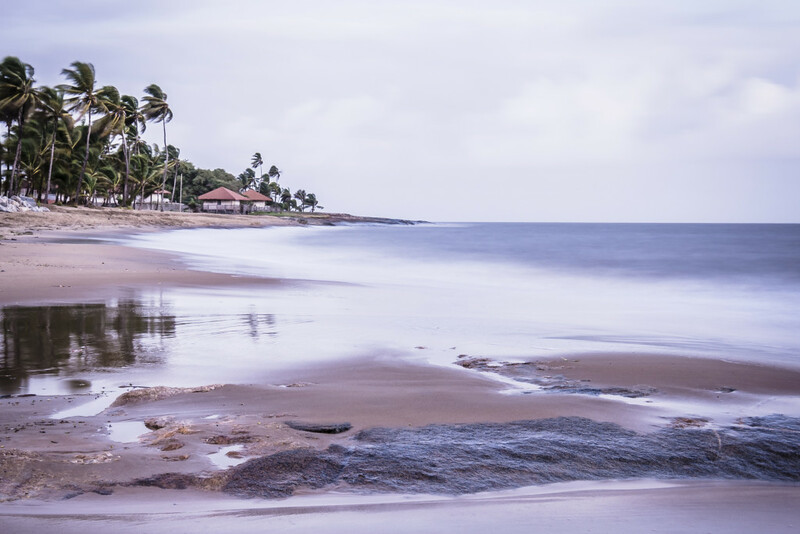 For French citizens, a national identity card or passport is required to visit French Guiana. Visitors from other countries must have a valid passport. Visas are required for citizens of countries not belonging to the European Economic Community, although this requirement has been waived for American and Canadian citizens. 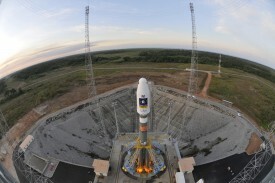 Numerous web sites have been created to provide additional information on French Guiana and Europe’s Spaceport. Whether tourism professionals, journalists, local actors, depending on your expectations and your information needs, the CTG team puts its skills and dynamism at your service. This French government-run website has information on French Guiana and other French overseas departments. 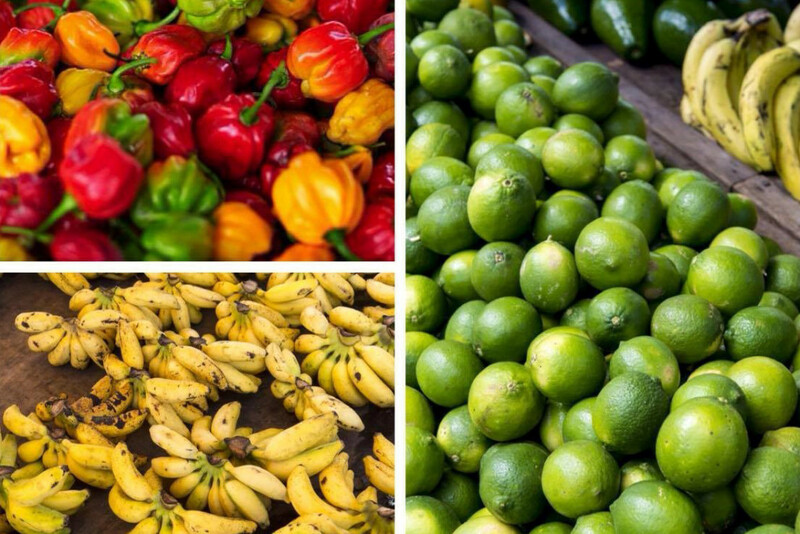 French Guiana has been a French overseas department since 1947, and a French possession since 1664. The 15-member European Space Agency is the design authority for Ariane launchers and was responsible for developing the Spaceport’s infrastructure. Its official Web site contains extensive information on the agency’s scientific, research and industrial programs, including a section dedicated to the launch vehicles operated by Arianespace. 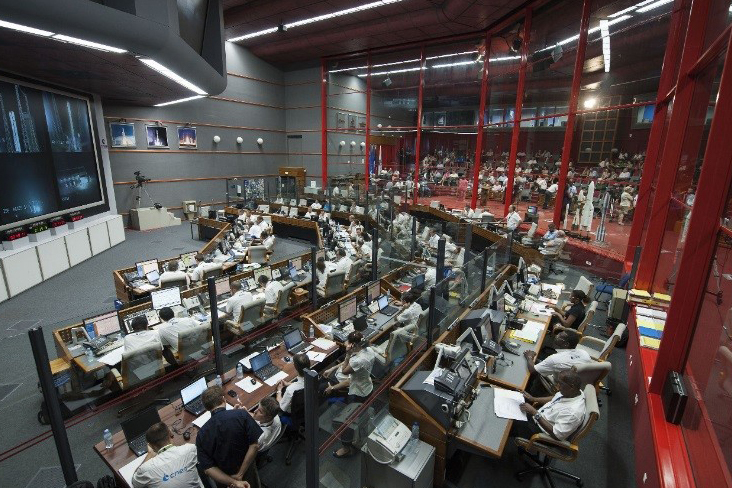 The CNES French space agency performs several key roles at the Spaceport, including designing and operating the facility’s infrastructure, ensuring its safety and security, as well as providing the resources needed to prepare the launchers and their satellite payloads.